The Müller-Guttenbrunn Group has been trying to transport of e-scrap materials from Austria to another site its owns in Bavaria for three years. It never imagined logistics would be such a difficult undertaking. However, the company ran into a lot of red tape – with ‘very little cooperation’ from legislators in Germany. 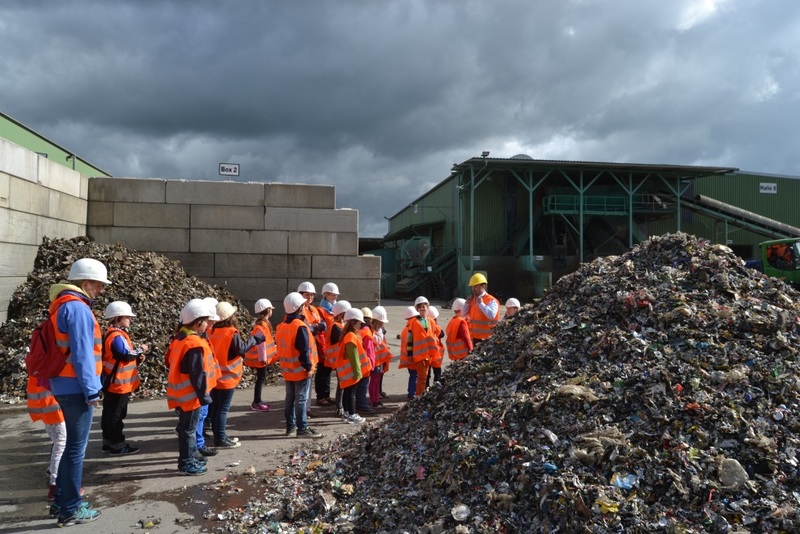 Müller-Guttenbrunn Group (MGG) processes a total of 850 000 tonnes of waste every year. Some 100 000 tonnes of this volume represents metal and plastic from discarded electronics. Annually, the recycler saves around one million barrels of crude oil compared to the production of new metals and plastics. The recycled plastics can be used to create new electronics as they are compliant with the EU’s Restriction of Hazardous Substances (RoHS) legislation, as well as Registration, Evaluation, Authorisation and Restriction of Chemicals (REACH) standards. Despite the high quality of MGG’s recyclate, the company has been stuck in ‘endless discussions’ with German legislators to greenlight transport of processed end-of-life monitors across the border. ‘Our recycling hub in Steinach is less than 250km away from our facility in Amstetten,’ MGG’s e-scrap specialist Chris Slijkhuis tells Recycling International. In a normal situation, it would take only a couple of hours to transport the e-scrap material from point A to point B. ‘But this has turned into a bureaucratic nightmare,’ Slijkhuis says. The problem is that local legislators can’t agree on e-scrap rules and regulations. ‘There are different standards for waste in practically every German county,’ Slijkhuis explains. ‘Also, waste legislation changes frequently. As a result, people can’t make up their minds so they don’t make any decisions. Mostly because they are afraid of making mistakes,’ he argues. MGG director Christian Müller-Guttenbrunn calls the situation ‘simply unacceptable’. That why his company continued to fight. Behind the scenes, the recycler has been developing a European solution, so Slijkhuis reveals. He calls the game-changer “Fast-Track Notifications”. Basically, the proposal foresees that compliant recycling companies register their facilities with the authorities in advance as pre-consented facilities. This makes ensures the required notification requests for each waste shipment are processed much faster. ‘Such a solution with less bureaucracy would be an important step forward to promote both recycling and the use of secondary raw materials in Europe,’ MGG’s owner says. It will also free up the competent authorities’ manpower to combat real illegal waste shipments, Müller-Guttenbrunn adds. The entrepreneur looks back on the ‘sad 3-year waiting anniversary’ with newfound hope. How so? Because he is proud to announce the first Fast Track Notification has just been granted and was completed last month. MGG regularly hosts plant tours, which are also organised especially for school kids.